Tottenham and Everton indirectly agreed to do a 'barter' players. After left Roman Pavlyuchenko, Tottenham immediately move quickly to get a replacement striker. 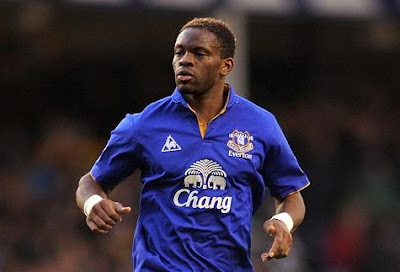 The result is drawn from Louis Saha Everton. Coach Harry Redknapp said he was happy with the 33-year-old striker joining the French. "He had good movement, can score goals but may require some changes," said Redknapp, Wednesday (1 / 2). But Tottenham also release one of their players to Everton, which is Steven Pienaar. Players from South Africa were sent to Goodison Park on loan for half the season.